The company has purchased a land near Visakhapatnam to set up a manufacturing plant to produce solar cells and module of capacity of more than 1GW in 2015. The world’s largest solar panel developer, Trina Solar is vying to pump in $500 million of investments in India if the profits are in favor. The Chinese manufacturer has frozen its make-in-India strategy of setting up a 1,000MW manufacturing plant due unfavorable policies and low costs. Mathur, also mentioned, international players like Trina will be interested in incentives to set up manufacturing in India, and the government’s domestic manufacturing policy for solar, which is in the works, may provide some clarity on the plans. “We are willing to manufacture in India, provided we get some kind of benefit, specifically for solar industry. It is only a matter of time. We will set up (the manufacturing unit) provided we have the right kind of policy support from the government,” he added. 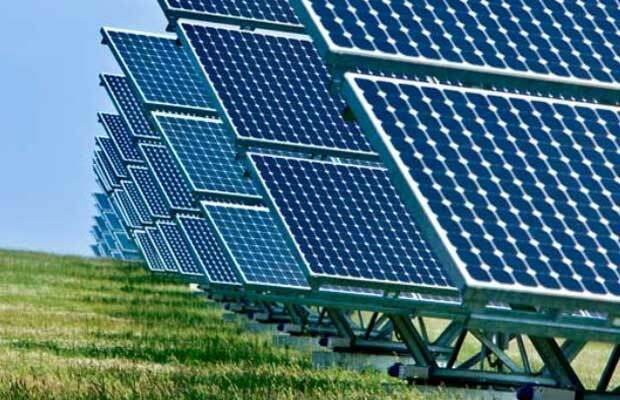 The company has purchased a land near Visakhapatnam to set up a manufacturing plant to produce solar cells and module of capacity of more than 1GW in 2015. The project along with make-in-India was designed to support the skill India campaign, where around 2,000 to 3,000 individuals were expected to be trained and then recruited to the same manufacturing plant. Mathur mentioned the plant was costing around $400-$500 million. India is always a prominent market for Trina and cannot be neglected besides market of low selling price. Trina Solar’s CEO Jifan Gao recently said the company might be re-considering its decision on a planned manufacturing unit in India, because prices there are “too low”. Industry experts say demand had firmed up in the Chinese market, influencing prices. India, on the other hand, remains an extremely price sensitive market. Holding about 20 percent of share in Indian solar market was looking for a tie-up partnership to set up the projected manufacturing plant, some Chinese sources mentioned. Industry sources say the Chinese player, which holds about 20% of India’s market share, was looking for a partner to set up the said plant. The business tycoon Shapoorji Pallonji, earlier was in talks but the discussions fell cold since last few months because of the scenario of uncertainty around prices and centre policies.